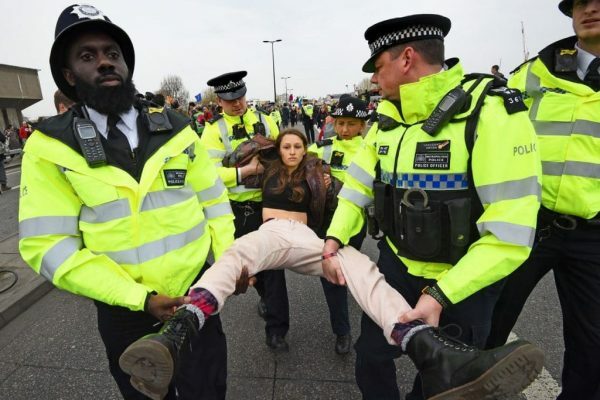 It would be criminal if political criticisms keep the organized left from supporting and joining the Extinction Rebellion campaign. Thousands of XR protesters disrupted central London for days. The very corporations that are responsible for the problem are denying global warming, with immediate consequences for the whole world. Carbon emissions from the burning of oil, gas and methane are heating the planet, creating a crisis of rising sea levels, droughts, extreme weather, poisoned ground water and polluted air that puts all life at risk. Man made climate change has appeared to me for three decades to be sufficiently proven, and it has that cardinal virtue of a scientific hypothesis, you can see the things which it predicts will happen, come to pass before your eyes, like being uncomfortably hot in your Edinburgh flat on Easter Monday. 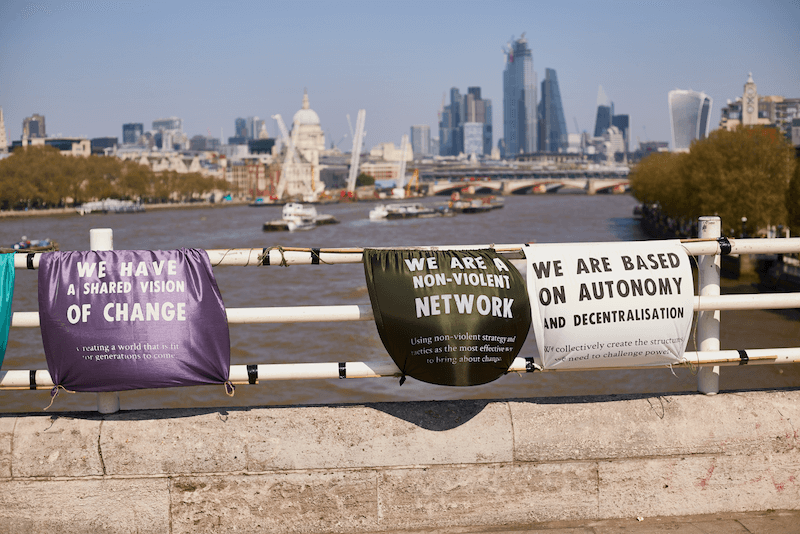 As spring now spreads its (record-breaking) warmth across the global north, London’s International Rebellion is entering a new phase of its own. After leaving four of five locations in good order, rebels will meet at Marble Arch on Monday to decide where they go next. 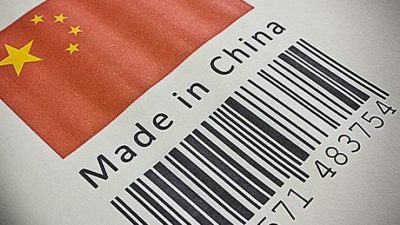 Climate & Capitalism can’t review every book we receive, but this column lists and links to those that seem relevant to Climate & Capitalism’s mission, along with brief descriptions. Titles described here may be reviewed in future. Inclusion of a book does not imply endorsement, or that we agree with everything (or even anything!) these books say. More than 682 protesters have been arrested since Monday. Update #5 – Police turn Pirates: The Pink Boat is Lost! It was a sad day for London’s Rebellion, as the beloved pink boat was lost amid a stormy sea of police- men and women. The neverending party was at last put on hold… for a few hours at least, until we retook Oxford Circus and the new sound-system arrived! In the last years of his life, Dr. Martin Luther King spoke against what he called “the triple evils that are interrelated”–economic inequality, racism, and militarism. If King were alive today, he’d be talking about the five evils that are interrelated, adding patriarchy and Ecocide, the destruction of livable ecology. He’d also be noting the dangerous rise of a new national and global fascism linked to the presidency of a malignant racist who glories in accelerating humanity’s environmental self-destruction while the media obsesses over matters of far slighter relevance. Thursday 18th April – Day 4 of the mother of all protests and we have managed to garner over 500 arrests, £250,000 in crowdfunding, and a whole heap of headlines. And on the ground, dare I say it, this is all starting to feel like business as usual. Dancing like gangbusters around the big pink party boat moored at Oxford Circus? Check. Chilled music and poetry on a plant lined Waterloo Bridge? Check. Moving and informative speeches on a car free Parliament Square? Check. A thriving community growing steadily beside Marble Arch? Check. Sun shining, children playing, people learning? Check. Check. Check.